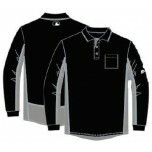 NEW FOR 2019: Majestic Long Sleeve MLB umpire shirts in black & grey. Majestic Umpire Shirts, worn by MLB umpires, are now approved for major D1 conferences including the ACC, SEC, PAC-12, WAC, Sunbelt, Atlantic Sun, OVC, Big West & Big South. Can't go wrong with anything from Majestic, wore this umpire shirt last night 4/18 and felt good all game long even got a few good remarks from the coaches on how good the shirt looked. 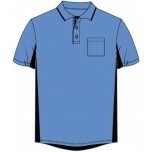 Best umpire shirt in the market.... 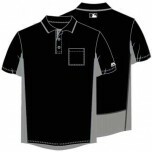 Majestic MLB Umpire Shirt all the way! Wow! Another home run made by Majestic! Great feel, fit and look! The collar stays in place and it was perfect on a Windy City plate!